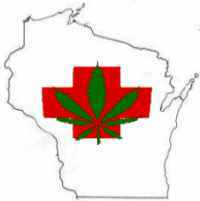 View streaming video of Ed Thompson for Wisconsin Governor commercial from 2002 produced by Libertarian Party and featuring medical cannabis patients including Gary Storck of IMMLY, DPFWI & WI NORML. Pictures from the First National Conference on Cannabis Therapeutics in Iowa April 6-8, 2000! Assembly Republican pledges support for Medical Marijuana legislation!